For every cricketer, one of the most important pieces of protective gear is the batting pad. Also known as legguard, they will provide the protection that will be needed by your lower body. While a lot of players may focus on the helmet, the batting pad should not be ignored. 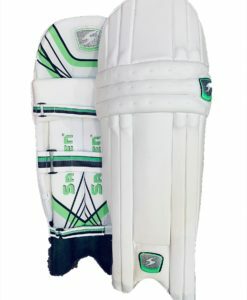 Whether you are a pro or a casual player, it is an important investment for your cricket clothing. In your search for the best, you will most probably be overwhelmed with the abundance of the options that are available in the market. Among others, SS Ton batting legguards can prove to be promising. 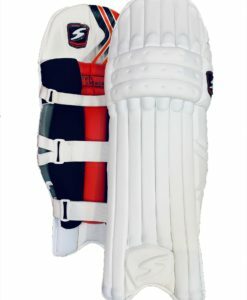 For many years, the company has gained reputation as one of the best manufacturers of cricket equipment, which is why you can also be confident that their batting pads will be equally exceptional. Regardless of the specific product that will be chosen, you can be sure that it is made only from the finest materials. Like in their other products, the company has invested heavily in research and development to determine the best materials that are available. They source these materials from the best suppliers and incorporate advanced technologies. With this, there is no wonder that they are used even by international players. They are endorsed by some of the big names in cricket, which is a testament to the superior quality of the SS Ton batting legguards. The right fit is one of the most important things that you should look for in batting pads. This is exactly what you can expect from the SS Ton products. They have Velcro straps that attach powerfully, providing you with an assurance that they will not detach. Run as fast as you can and move as intense as possible. At the end of the day, you can be confident that your legguards will stay in their proper place. 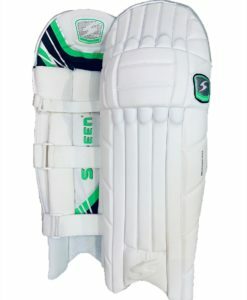 More than the proper fit, their legguards are also exceptional in terms of comfort. Even when wearing it for a long time and during a hot day, you will feel comfortable all the time. One of the reasons for this is perhaps the breathability that it offers. They are designed in such a way that they encourage superior air flow. The mesh lining is known for the superior cooling effect that it can provide. To add, they also have cushioning at strategic areas, especially at the pressure points. Even the straps are soft on the skin and will not cause irritation. They also have the excellent ability to absorb impact. On the lookout for the best SS Ton batting legguards? We are here for you. Our online store takes pride in having a diverse inventory of protective pads, not only from SS Ton, but from other top brands as well. We have a stringent quality control, which is why every product is guaranteed to be in accordance with the highest standards. Best of all, we offer these products at low and discounted prices! 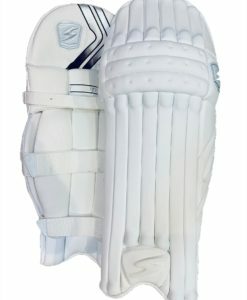 Purchase your legguards today before stock runs out!